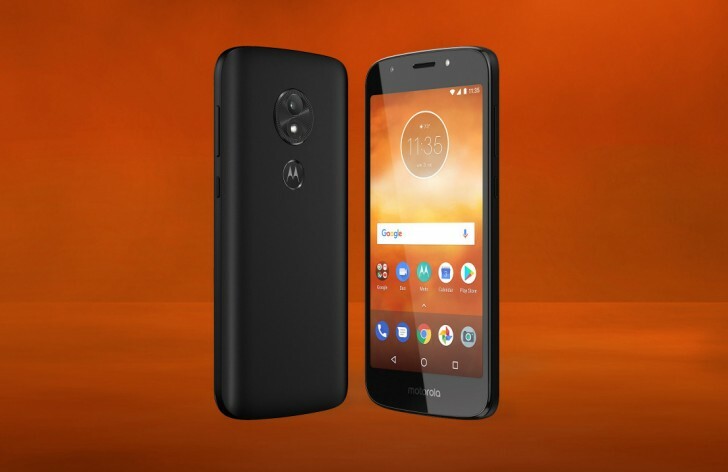 Motorola unveiled three affordable E-series phones, which in many ways mirror the new G6 trio. All three phones will launch “in the coming months” with Android 8.0 Oreo and even the most affordable model has a fingerprint reader hidden in the Motorola logo along with water-repellent coating. Also, the selfie cameras have LED flashes and your photos can be stored at full resolution at Google Photos for free. But don’t think of these as the junior team, we think this first one might actually be a better phone than the Moto G6 Play (and at a lower cost to boot). The Moto E5 Plus comes with a whopping 5,000 mAh battery and is bundled with a 15W TurboPower charger, which can push 6 hours worth of charge into the battery in just 15 minutes. All of that capacity does have a weight, however, and pushes the phone to 200g. The screen is larger than any on an E-series before – a 6” IPS LCD panel with 720 x 1,440px resolution. It boasts Moto Display for at-a-glance info and quick replies to notifications. The E5 Plus is powered by a Snapdragon 425 chipset with 3 GB of RAM and 32 GB of built-in storage (plus up to 128 GB microSD card). That’s actually a better chipset than the Moto G6 Play! The main camera has a 12 MP sensor (1.25 µm pixels), f/2.0 aperture and phase detection AF. It records 1080p @ 30 fps videos. The 8 MP selfie cam (1.12 µm, f/2.2) has a dedicated LED flash too. Some downsides of the Moto E5 Plus include an outdated micro-USB port (but a 3.5 mm jack is thankfully still on board) and no NFC. The phone will sell for €170 in Europe, the Americas and the Asia Pacific. The Moto E5 scales back to a 4,000 mAh battery and a 5.7” (720p+) screen – still pretty big. The bundled charger is a 10W brick and the chipset is a Snapdragon 425. The E5 camera department offers a 13 MP shooter on the back (1.12 µm, f/2.0) with 1080p video capture and a 5 MP selfie cam (with flash). Memory-wise there’s 2 GB of RAM and 16 GB storage, so you’ll likely need to fill the microSD slot. The Moto E5 will cost €150, pretty close to the Plus model so you might want to have a look at our compare tool and see if you can justify saving those €20. The phone will be available in Europe, Latin America and the Asia Pacific. Finally something for those wanting a compact device. 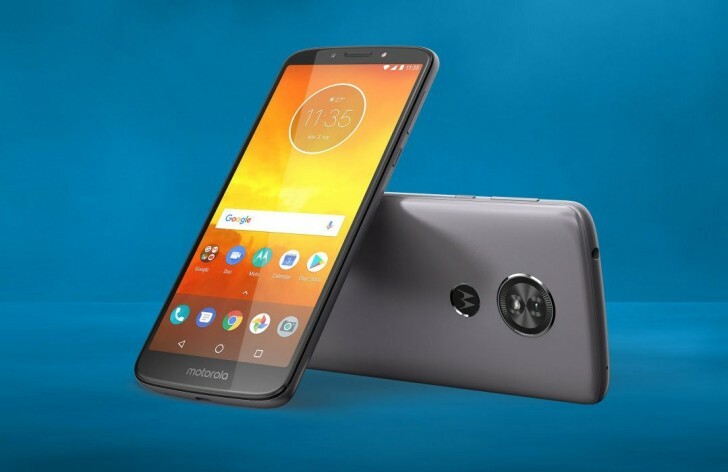 The Moto E5 Play offers much of the same hardware as the base E5 (Snapdragon 425/427, 2 GB RAM, 16 GB storage), but comes with a pocket-friendly 5.2” screen. It has a standard 16:9 aspect ratio and 720p resolution. The battery feels small compared to the others, but isn’t small small at 2,800 mAh. And also, it's interchangeable, we've forgotten what that looks like. In the box you’ll find the same 10 W charger as the E5. 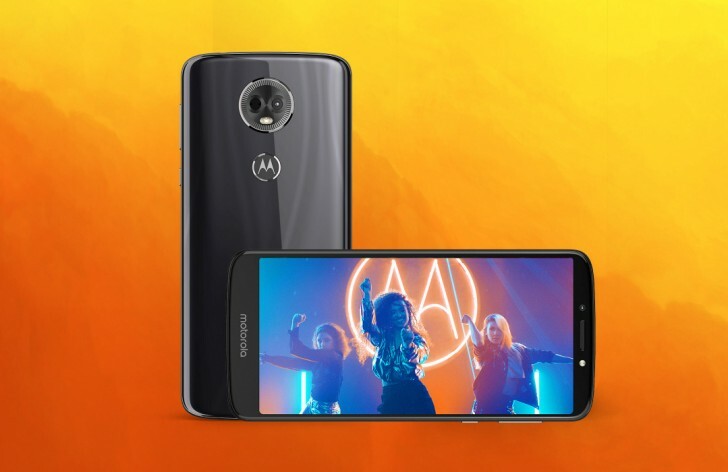 The Moto E5 Play main camera is an 8 MP shooter (1.12 µm, f/2.0) with 1080p video capture, the selfie cam is the 5 MP camera with flash from the E5. Unfortunately, it seems that the Play version will launch only in North America. Pricing is unknown for now. Moto G6 handsets will get one major OS update, the Android P. No Android update guaranteed for Moto E5 lineup. Motorola will release security updates every 60-90 days.